Choosing the best excavation company is a task that should be heeded wisely. Taking the time to research the best, most cost effective, ethical, customer-service oriented, and quality grading excavation company is well worth the extra elbow grease. As you know, the foundation and lot prep for your home, the precise dig for plumbing pipes and electrical work for a commercial site, and proper drainage and grading in construction are huge tasks that are better when performed right the first time. It’s easy to fall prey to the cheapest bidder, but don’t toss aside the higher-priced bids either. The quality of work is usually worth the price. A company who takes honest pride in their work knows their value and their customer service. While undergoing this undertaking, you want to be rest assured that your project is in good hands. You don’t want to fall victim to the adage, “You get what you pay for,” by choosing a cheaper company. Do your homework and base the estimates you receive off the following information as well. Happy customers are likely to tell three of their friends of the good service and products they received. Unsatisfied customers are more likely to tell at least 10 people of a negative experience. Spend the extra time to read reviews from the company’s customers. Visit their sites and have a conversation in person to ask about their overall service from efficiency, equipment upkeep, timelines met when given, maintaining budget, and their satisfaction with the end result. The more years in business the better as well as with the same leadership in the organization. Just like the foundation you need built, you want a steady and stable company behind the bulldozer making the dig. Trust is essential when choosing your earthwork contractor. Review the company’s profile, ask questions about those who will be involved in the project, their experience, background and the specialties they bring for your precise needs. Your project cannot get done with faulty or unreliable equipment. For peace of mind, have a conversation with the lead on the job about the quality, maintenance and upkeep of the company’s excavator, bulldozer, skid steer, all the way down to the dirt and rock screening equipment, or whatever equipment is needed for your specific project. If the equipment isn’t well kept then your project will more than likely be delayed, wasting your precious time. Another thing to consider, if the price of the company you are leaning towards is on the higher end, the apparatus they are using is more than likely on the higher-end as well. There is a reason contractors need to be licensed. Laws have been passed that require contractors to be licensed, registered with their state board, and insured to protect the customer from dishonest and incompetent contractors. It is risky to use an unlicensed buddy to do the work, especially if an issue arises while using an unlicensed contractor. Each state has their own requirements for a contractor to abide by. There are databases online for you to lookup licensed contractors by state to ensure the companies you are researching fall in line with the required criteria, such as the National Association of State Contractors Licensing Agencies. Keep in mind that a general contractor’s license does not necessarily cover every aspect of the job, like subcontractors for instance, if they are needed to complete the project. Make sure that all who are involved in the getting the job done are legally registered with the appropriate board in your state. Another benefit for hiring a licensed contractor. In some states, including Arizona, there is a compensation fund that registered contractors contribute to help in the adverse event that a customer was wronged. This fund is used to help right the wrong by repairing damages and restoring losses incurred while working with a licensed contractor. In today’s day and age, we are quick to rush and skim over the fine details. Best advice is to read, ask questions and to get clarification on all the details involved in the project as laid out in the contract and agreement. Go over in detail expectations and any exceptions that may occur and may incur extra costs. With projects like these, surprises can be inevitable, the more prepared you are the more secure you’ll feel from inception to completion. Excavation ranges from a variety of projects for both commercial and residential sites. Trusting the company you hire for the little jobs—removal of shrubs and trees from your home—to much more involved and complex jobs—lot prep for a commercial building with engineered compaction, electrical and plumbing lines, utility trenching, drainage and grading culvert installation—is crucial. 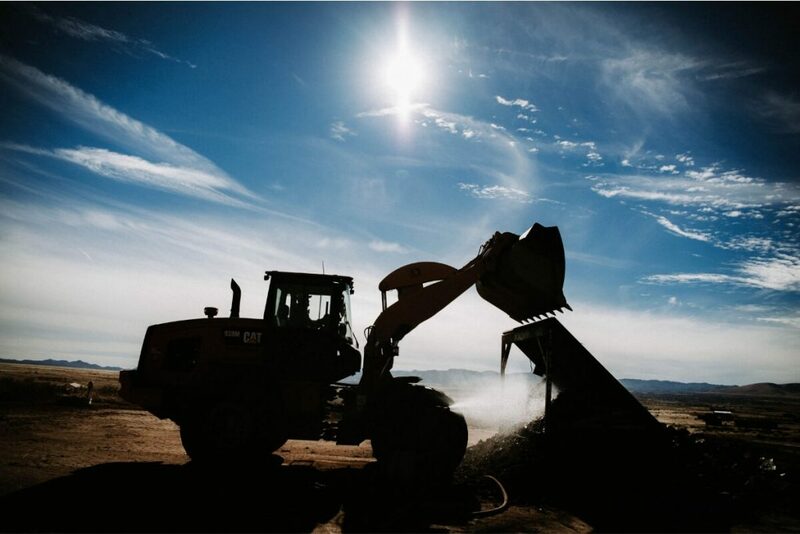 Specialty Grading, located in Prescott Valley, Arizona is a family-owned business established in 1995, with over 20 years of experience of providing high-quality services at a great value for money. Specialty Grading understands that clients look for a knowledgeable and experienced contractor who listens to their concerns and provides sensible solutions. The quality of work, customer service and commitment to your project ensures that they get the job done right the first time. Come to Specialty Grading for your Arizona residential excavation needs. We provide solutions specifically for you. Contact us via email or phone today for a free estimate. Thanks for this advice for picking an excavation company for a project. It’s good to know that you should try to have a conversation in person to learn more about their overall service. This seems important if you also want to learn what kind of excavation services you can utilize for a project. Specialty Grading is a family owned and operated business, established in 1995.